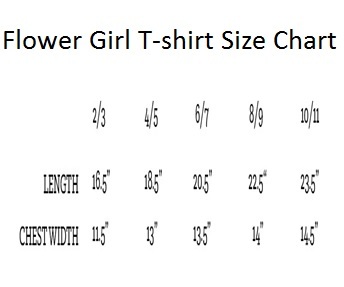 Each Flower Girl Shirt is made of soft cotton jersey and features a scoop neck design and short sleeves. "Flower girl" is printed in gold foil in an adorable script font. A perfect gift for the little one!